Please excuse the lack of updates while I try to graduate..! In the meantime why not try some salt dough sculpture? Here’s a good recipe. I wasn’t particularly excited about this week’s episode of A Year In Tibet until these yak butter sculptures were shown. 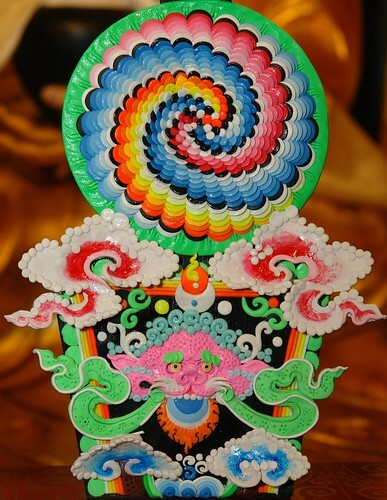 They’re made for the Tibetan new year celebration, Losar. butter sculpture, originally uploaded by this is emily. This is the roly poly puppet sculpture thing. I put lentils in it. I’m currently working on making sculptures based on my drawings. This one is also a puppet.